ALEXANDRIA, VA, January 22, 2019 — James C. Brincefield, Jr. has been included in Marquis Who's Who in the field of Law. 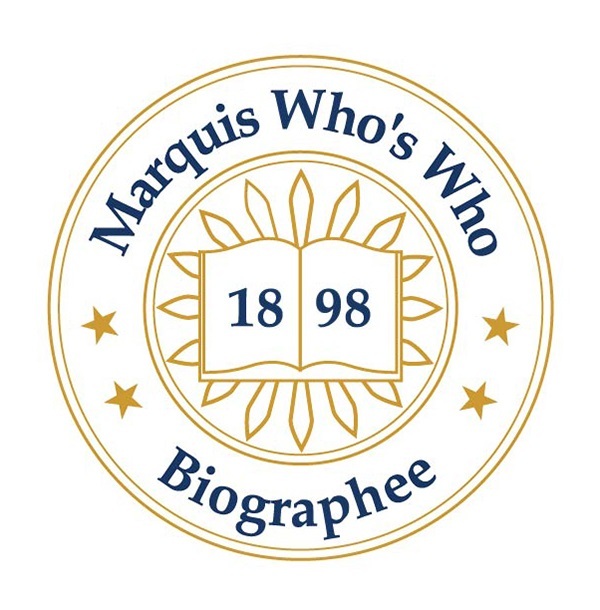 Inclusion in all Marquis Who's Who biographical volumes is limited to individuals who possess professional integrity, demonstrate outstanding achievements in their respective fields and who have made innumerable contributions to society as a whole. Before embarking on his professional path, Mr. Brincefield pursued an education at Georgetown University, earning a Bachelor of Arts Degree in 1963 and a Doctor of Jurisprudence degree in 1966. He concluded his academic studies at the Kogod Graduate School of Business at American University, graduating with a double degree in Business Administration and Finance and a Master of Science in real estate. While still in college, Mr. Brincefield sat for, and passed, the D.C. Real Estate Brokers Exam, becoming licensed as a real estate broker in 1963. During his last year of law school, he served as a national Vice-President of the American Bar Association's American Law Student Association. He also served as the Chair of the Law Student Service Committee for the Washington World Conference on World Peace Through Law. As the Chair of this Committee, Mr. Brincefield co-ordinated over 30,000 hours of volunteer service for the Conference. Mr. Brincefield began his legal career during 1965-66 as a law clerk for the Honorable Daniel Weymouth, the Circuit Court Judge for Virginia's Twelfth Judicial Circuit. Upon graduating from law school in 1966, he formed his own law firm -– Brincefield Hartnett, PC — which still exists today. He joined Rich Rosenthal Brincefield Manitta Dzubin & Kroeger, LLP, as a partner, in 2007. In addition to managing a thriving law practice, Mr. Brincefield served as a consultant to the Educational Testing Service in Princeton, N.J. during 1972-75 where he helped to develop questions for the real estate salesman and broker exams provided nationally by ETS. Throughout his career, Mr. Brincefield has always been heavily involved in public service activities and has been uncommonly generous in sharing his expertise for the benefit of all those involved in real estate and related activities. He has served as the Chair of the Real Estate sections of the Virginia State Bar, the D.C. Bar, and the Alexandria Bar Association. He has also served as an attorney member of the Virginia State Bar Fee Arbitration Panel for Northern Virginia. He has taught courses dealing with real estate transactions and related litigation for the Kogod School of Business at American University and the Paralegal Institute. He has advised several local officials on matters related to real estate and he has authored numerous articles and participated in many seminars and panel discussions dealing with real estate and related litigation. Mr. Brincefield has penned numerous articles for esteemed professional journals such as The Urban Lawyer, REALTOR magazine, The Federal Home Loan Bank Board Journal, Virginia Lawyers Weekly and Common Ground Magazine. In 1974, the American Bar Association Committee on Housing and Urban Renewal published his report on “The New (1974) Virginia Condominium Act”, the precursor for the second generation of Condominium Acts thereafter adopted by National Conference of Commissioners on Uniform State Laws and most of the state legislatures in the country. In 1993, Mr. Brincefield published the first edition of his booklet titled,”Brincefield's Guide to Buying a Home: The 21 Biggest Mistakes People Make When Buying a Home” (now in it's seventh printing), a consumer guide written especially for first time homebuyers. He has also served as a principal and counsel for several local and national builder/developers. Mr. Brincefield has been quoted as a real estate expert in publications such as Forbes Magazine, The Wall Street Journal, The Washington Post and the Washington Times, among others. As of 2018, Mr. Brincefield had accumulated more than 50 years of legal expertise and related public service to his credit. In his career, he has dealt with virtually every aspect of real estate and related litigation. Attesting to his exceptional achievements, Mr. Brincefield has received several noteworthy accolades. In 2002, he was inducted into the Northern Virginia Association of Realtors Hall of Fame and, in 2016, he received their Lifetime Achievement award. In 1984, Mr. Brincefield was admitted to the Martindale-Hubbell Bar Register of Preeminent Attorneys and, in 2009, Mr. Brincefield received an award from Martindale-Hubbell for having been listed in its Bar Registry of Preeminent attorneys for more than 25 consecutive years. Being included in the 2019 Class of Marquis Who's Who® is the latest, but surely not the last, recognition of the extraordinary achievements of this outstanding individual.